1.) My sense of smell. Apparently I’m part Blood Hound, and not just in the looks department. 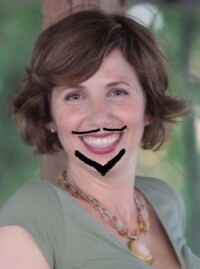 I have a nose for news, and by news, of course I mean poop. 3.) Editing other people’s work. Seriously—my eye for detail is freaky. When I was a kid my mom’s boyfriend called me “Hawkeye,” and that was before my carousing-with-Army-field-nurses phase. Luckily for me, I have a job where I can apply 2/3 of these superpowers on the daily: I’m the Editor-in-Chief of the popular women’s online community, In The Powder Room. It is truly the fourth finest thing I’ve ever created. 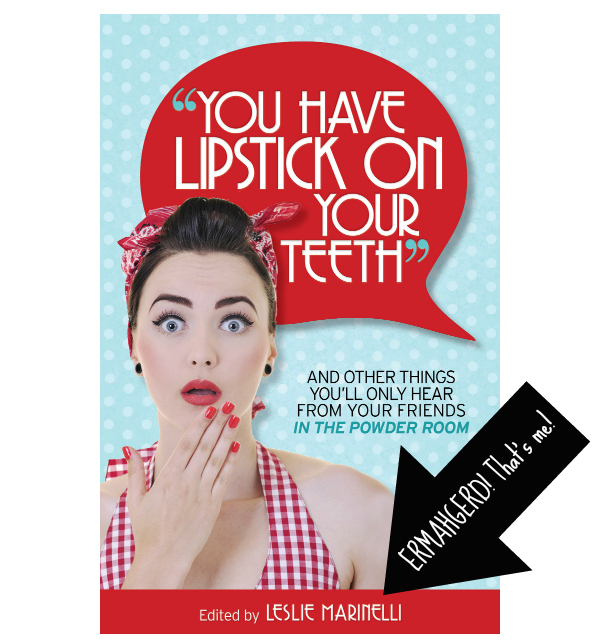 “You Have Lipstick on Your Teeth” is a hilarious and poignant collection of 39 (mostly) true tales by women, for women, about being women—bodily changes, relationships, careers, motherhood, aging, illness, and more—written with the humor and grit that proudly sets In The Powder Room apart. I’m one of the co-authors as well as the editor of the book, and my essay is—without a doubt—the best piece I’ve ever written. If I loved it any more, I’d have to claim it as a dependent. But the thing I’m proudest of regarding this book is that it truly celebrates all phases of womanhood and female friendship. The authors have held holding nothing back. We’ve revealed our funniest deep dark secrets—because it’s through our most vulnerable and honest moments that we forge the strongest connections and discover we aren’t so alone after all. So buy one. Please. Actually, buy a few because it makes a great gift for any woman in your life who loves to laugh. Would you like copies for your store? Please email me for wholesale pricing at leslie@inthepowderroom.com. 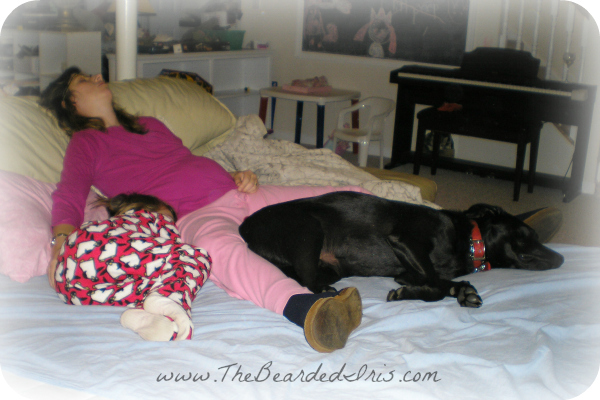 A friend of mine from work hipped me to your blog- and may I say, I am a BIG fan. I bought and LOVED your book, and agree that your essay is definitely one of your best. I laughed really loudly on an airplane reading it, but luckily, the plane’s engines were really loud, too, so nobody heard me. It was powerfully refreshing to read so many bold, funny women’s voices all in one place. Thanks for everything you do! Read your DIY on the Black man who’s going to help me with my Sas-Crotch. I loved it! I have to go now because tomorrow is Friday and I’m headed to the drug store which is located next to the book store so I can take care of bidness.